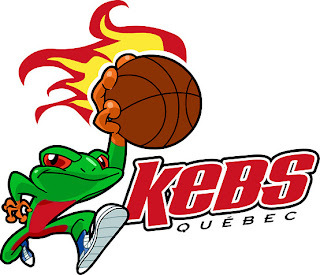 Breaking down what happened in the National Basketball League of Canada on Friday night. It came down to another last second basket for the Halifax Rainmen as Lawrence Wright tipped in the game-winner with just 0.3 seconds left in the victory against the Quebec Kebs last night. Halifax won their sixth straight as the Rainmen are on the road for back-to-back road games over the holidays. The Kebs held the Rainmen to just 36.3% shooting on the night but also struggled on their own end with their 41% shooting. Former Halifax Rainmen centre, James "Boo" Jackson, had a double double on the night with 17 pts and 15 boards. The Rainmen's current leading scorer, Lawrence Wright, finished with 11 points including the last second game-winner. Halifax now sits in second place in the NBL with a 9-4 record. "We drew a play up for Tyrone to get the ball on the post because he had an advantage down low," Robinson said seconds after the horn sounded. "He took a good shot but it kinda fell short but Lawrence was there to clean it up and put it in." Labels: Canada, Halifax Rainmen, James Jackson, Lawrence Wright, National Basketball League of Canada, Quebec Kebs, What happened in the NBL Canada last night?